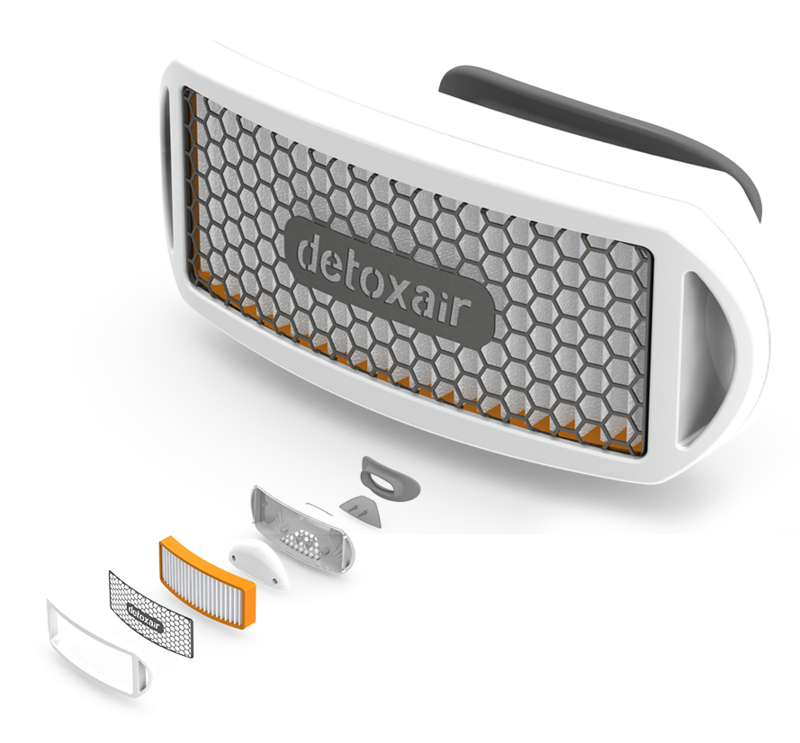 The DetoxAir filter lets you take control of the air you breathe, no matter where you are in the world. You are now holding the portable, patent pending solution to ensuring that the air you breathe through your DetoxAir filter is clean and safe, as you exercise or work in highly polluted or contaminant heavy environments. POLLUTED AIR ENTERS THE FILTER THROUGH A HEPA RATED FILTER. AS YOU EXHALE, YOUR BREATH IS DEFLECTED DOWN AND AWAY THROUGH A ONE-WAY VALVE.